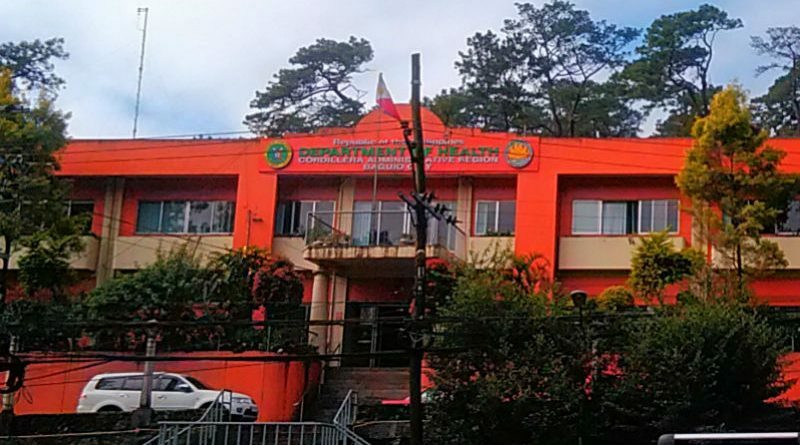 BAGUIO CITY – Hand, foot and mouth disease in the Cordillera for the first forty weeks of this year totalled forty seven cases which was seventy eight percent lower than the two hundred twelve cases reported by the health department during the same period last year. Based on the data obtained from the Cordillera office of the Department of health (DOH-CAR), there was a lone fatality due to hand, foot and mouth disease who came from a non-CAR province this year compared to the no hand, foot and mouth disease-related death during the same period last year. The report stated that the hand, foot and mouth disease cases were from Baguio City with 14 or 29.8 percent of the total number of recorded cases followed by Benguet and Kalinga with 8 cases each that account for 16 percent of the total cases each; Apayao – 5 cases or 10.6 percent; Ifugao – 4 cases or 8.5 percent; Abra 1 case or 2.1 percent and non-CAR provinces – 7 cases or 15 percent. Health authorities revealed that there were some 28 males who were able to contract the hand, foot and mouth disease which represent 59.5 percent of the total number of recorded cases from the different parts of the region. Further, the age range of the affected individuals was from 5 months to 17 years old with a median of 2 years old. Geeny Anne Austria of the DOH-RESU claimed that there were laboratory confirmed hand, foot and mouth disease cases in the region but there were no clustering of the illness reported in any part of the region. Hand-foot-and-mouth disease, or HFMD, is caused by a virus. Symptoms include ulcers, or sores, inside or around the mouth, and a rash or blisters on the hands, feet, legs, or buttocks. And while it is not pleasant, it also isn’t serious. Anyone can get the disease, but children under age 10 are most likely to catch it. Health officials explained that the viruses that usually cause hand-foot-and-mouth are named coxsackievirus a16 and entervirus 71. Moreover, children can contract hand, foot and mouth disease through contact with someone who already has the illness, or from something that has been in contact with the virus like a toy, table top, or door knob. It tends to spread easily in the summer and fall. Among the symptoms of hand, foot and mouth disease include fever and sore throat in younger kids and fever and decreased eating or drinking. painful blisters similar to cold sores can show up on the inside of a child’s mouth (usually in the back portion of the mouth) or tongue. Patients might get a rash on the palms of his hands or the soles of his feet a day or two after the first symptoms appear. This rash may turn into blisters. Flat spots or sores may pop up on the knees, elbows, or buttocks. He could have all of these symptoms, or only one or two. Mouth sores can make it hurt to swallow, so be sure a child gets enough water and calories. Austria advised individuals possessing the aforesaid symptoms to immediately seek medical attention from the nearest medical facility for them to be appropriately diagnosed.